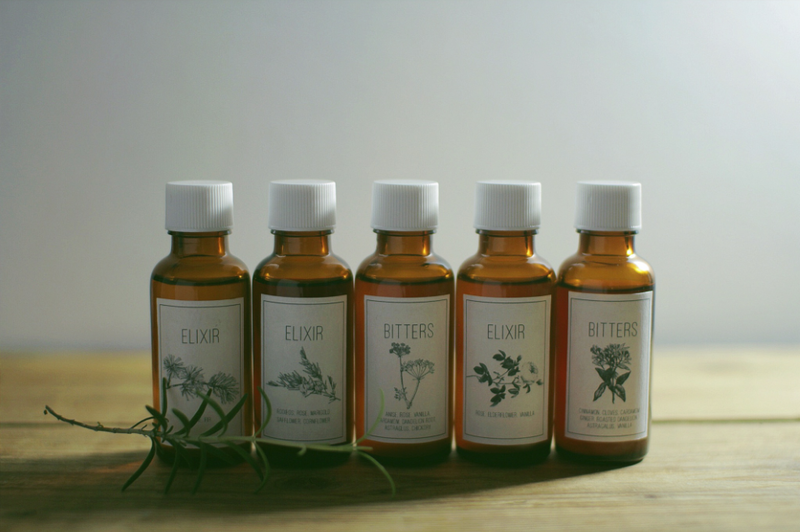 This year a friend and I made a collection of bitters and cocktail elixirs as holiday presents. For the bitters we used roasted dandelion, chicory and astragalus roots. rose petals, vanilla, and elderflower, among others. allowing them to develop into bright, bold flavours, before straining out the solids. We then developed a series of unique flavours by mixing and matching the various bitters and aromatics. We packaged them in 30ml bottles and printed labels featuring drawings of the main spice in each flavour.